As the largest provider of private educational services in China, New Oriental offers education for a lifetime, teaching skills that give students a crucial competitive advantage in the workplace and help improve their life quality. Our wide range of educational programs, services and products includes training in English and other foreign languages, overseas and domestic test preparation courses, after-school tutoring in all-subjects, primary and secondary school education, educational content and software, as well as online education. 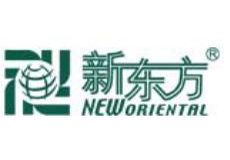 New Oriental has become the most recognized brand in the Chinese private education. Based on founder Michael Yu's groundbreaking vision, the company provides innovative and inspirational instructions with fun, interactive teaching techniques combined with traditional Chinese educational values. Since its founding in 1993, New Oriental has enrolled around 11 million students, including approximately 2.1 million enrollments in the 2011 fiscal year. Today, the company has a network of 54 schools, 487 learning centers, 29 New Oriental bookstores and over 5,000 third-party bookstores.,More than 11,700 teachers spread over 47 cities, as well as an online network with more than 6.7 million registered users. New Oriental provides a comprehensive range of educational services and products to address the needs of students of all ages, including programs of Kindergartens, POP Kids, summer camps primary and middle school education, and lifelong education. At each phase of our students' education, New Oriental is there as a trustworthy teacher and advisor – for the Chinese high school or college entrance exams, international exams for applying to overseas universities, or teaching skills most valued by today's employers. The company also provides adult students with Adult Practical English and ELITE English programs, occupational test preparation, online education, career education and popular educational publications.